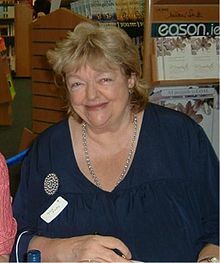 Maeve Binchy (1939 - 2012) was an Irish author who wrote 16 novels and several collections of short stories. Every now and again I want to fall into a Binchy novel and live in it. This mood usually strikes when I am hectic at work or otherwise am feeling a bit overwhelmed. Her novels are dense with details of interesting, but ordinary, people overcoming difficulties. They are satisfying the way cleaning out a messy closet is satisfying. Below is a list of her novels. Those I have read are in red; those on my TBR shelf are in blue. If you have Binchy-related posts and would like them listed here, please leave a comment with a link and I will add it.